It’s been a long time coming folks… we’ve finally secured a great new home! 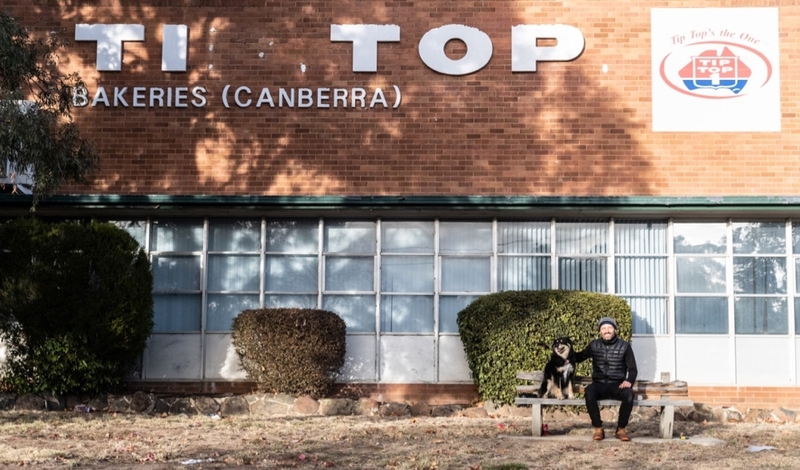 We are moving to the old Tip Top Factory in Griffith, just near the Fyshwick Markets, and we are aiming to be settled in the new site in Spring. It’s a big site with more factory and under cover storage space than we have at the Brickworks, and a good yard space as well. There's even room for a big gallery and showroom - a first for Thor's Hammer. We’re very excited about the bones of the Tip Top site. It's a lovely old 1950’s Canberra brick factory building with great character. It's really awesome to have found a new home that has such an interesting past and a strong connection to the Canberra community. The new site will have a much larger workshop than we currently have at The Brickworks, so there is heaps of room to expand our range of furniture making and processing recycled timbers. We'll also be installing new machines, which will help take our operation to the next level. The best news for Thor’s customers is the gallery and showroom we’ll be building. You’ll be able to get up close to furniture on display and explore wall hangings of timber samples and other great stuff. We’ve been working hard on the design for the new site and will be offering other improvements to the customer experience so stay tuned. If there’s any improvement you’d like to see, that will make your experience better, please shoot us an email. The old Tip Top factory was shut down around 2002 but all their big ovens and machinery are still in place. So there's a big clean up to do! We’re aiming to move camp in September. Final dates will depend on Tip Top's progress with the site clean-up, but we’ll keep you posted. A great deal of planning has been happening for a smooth transition from the old Brickworks to our new home. We'll stage our move and set up the new workshops in advance, to minimise any disruption. We’ll be incorporating move requirements into our scheduling over the next few months, so production schedules continue without a hitch. We'll keep you updated as we fine tune the design and move, and will be sharing lots of pictures of work in progress at the new site. Thanks for your support throughout our journey of finding a new home for Thor's Hammer. It’s been a rollercoaster at times but we’re so glad to be heading into this new phase of life for the Hammer, all the better to have you alongside us!